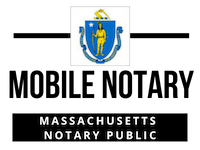 First commissioned as a Massachusetts Notary Public in 2008 and a Notary Contract Signing Agent trained and certified with a current background check. Member of multiple professional associations and local business chambers of commerce. 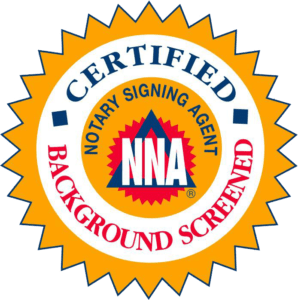 Who is a Notary Signing Agent? Professional notary services are provided for any document that needs notarization such as for Cori Checks, wills, affidavits, acknowledgments, the power of attorneys, Mortgage Documents, Last Wills, etc. Please note that a valid and current photo ID is required. Documents must be signed in the presence of the Notary. The individual signing the document(s) must be aware of what they are signing and understand the contents of the document(s). The signer must not be intoxicated, on drugs, or taking medications that would affect their ability to think and/or make decisions during the signing of the document(s). This also applies to any signature witnesses. A notary person is not responsible for the contents of the documents and may not advise whether an individual should or should not sign documents. Our agents are not attorneys in law. If you are unsure of whether to sign documents, consult an attorney and or the other party involved. Our Staff verifies the identity of the signer and that the documents were signed by that individual in the presence of our staff. Mortgage and loan closings in Massachusetts require an attorney admitted to the state bar to be present or involved in the closing of real property transactions. A Notary who is employed by a lender may notarize a document in conjunction with the closing of his or her employer’s real estate loans.